You’ll feel best when riding your bike without carrying anything. But whether it’s your lunch, a change of clothes or your laptop – most of us will need to carry a few things to and from the office. 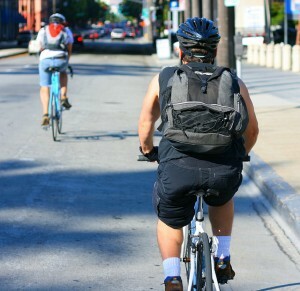 Carrying a cycle bag can make us hotter, tire us out quicker and slow us down when we’re riding our bikes. What’s more, a badly design bag can dig in and make you uncomfortable, or worse slip dangerously when you are riding at speed. So, how can we carry our things on our cycle to work in comfort, safety, and maybe even style? Everyone’s got one or two old rucksacks lying around at home. These are fine for those on a budget with a short journey. Probably best not to use your prized vintage rucksack though as it will take a battering! A perfectly acceptable option, any old rucksack will do. 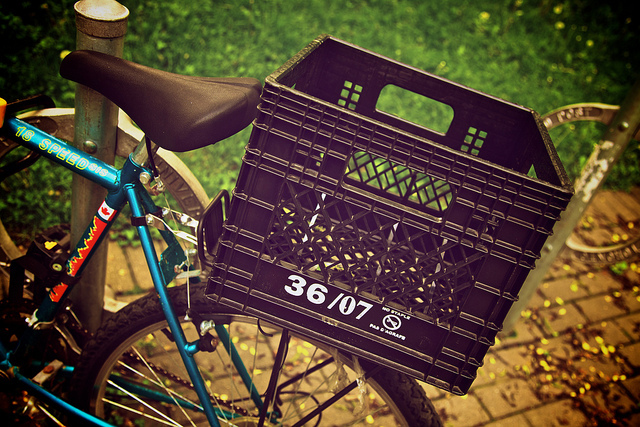 They’re cheap, easy to store and, unlike panniers, no hassle to carry when you get off your bike. Rucksacks aren’t designed with cycling in mind, although a good quality, well padded one can work well. Many can be uncomfortable over long journeys and encourage a big patch of sweat to form on your back. Most standard rucksacks aren’t fully waterproof, so as soon as there’s more than a light shower all your stuff will get soaked. There’s only so much you can fit inside a rucksack too, so if you want to carry lunch, a change of clothes and a laptop, you’ll struggle. It’s OK with a light load but a rucksack can be really uncomfortable when full with things digging into your back. Rucksacks aren’t designed for cycling and when fully loaded, the weight can shift from one side of you body to the other at the wrong moment and unbalance you when riding. This can potentially be quite dangerous if this happens at the wrong moment.